Fact is, most of the beauty, skincare and wellness products offered in the market today contain synthetic and chemical components that in a long run can damage your skin or hair. It may be working for you right now but just be aware that with the everyday usage, the chemicals added may be doing more harm than good in your skin. While the advancement of science and its breakthroughs are undeniable and we are the ultimate beneficiaries, you may opt going back to all natural or organic remedies just to break the daily dependence towards these products; delivering the same results of preventing fine lines, wrinkles, premature signs of aging, acne and pimples, lighten dark spots and blemishes and even makes your hair and scalp smoother and more manageable. The following are natural ingredients that even skin care experts recommend; proven to be effective. These natural wonders can help combat dry skin, damaged or coarse hair, breakouts and pimples; soothe skin irritation, even out pigmentation and to lighten the skin. They not only are known effective to sustain and maintain the outer surface but they are also highly recommended for a healthy diet and nourishment plus they are super affordable and readily available in the market all year round. Lemon extract is considered as a cleansing agent which is highly beneficial to our health. It is a great source of nourishing extracts like Vitamin C, A, E, potassium, flavonoids (properties that contain antioxidant to fight cancer) and other therapeutic properties which help to strengthen the immune system, lower blood pressure, prevent stroke, cleanse the stomach, purifies the blood, treat kidney stones, and even help to lower down fever and eliminate constipation and indigestion. If you want to lose weight, add lemon juice and honey in a cup of lukewarm water. They help your body in detoxification which is amazing if you want to shed those extra pounds. Lemon juice contains natural antiseptic medicine which is awesome for skin related problems like pimples, acne and eczema. It also has properties that fight wrinkles, aging and blackheads. Lemon juice is also a very effective skin brightener as it lightens up skin pigmentation caused by pimples, acne and scars. Because of its cooling effect, it can also be applied to fresh burns and bee stings. Lemon extract can be applied directly to scalp to treat dandruff, hair loss and other hair problems. Many can attest that lemon juice gives a healthy shine when applied in the scalp. Honey, is known as the “liquid gold” that has been recorded throughout history because of its wonderful organic and therapeutic importance. This sweet nectar is a natural head-to-toe home remedy which has countless health benefits. It is an incredible source of antioxidants and anti-aging components to prevent wrinkles and free radicals. Honey has antiseptic and healing properties good for fresh cuts, burns and other skin disruption apart from being loaded with anti-fungal and antibacterial components to fight pimples and acne. 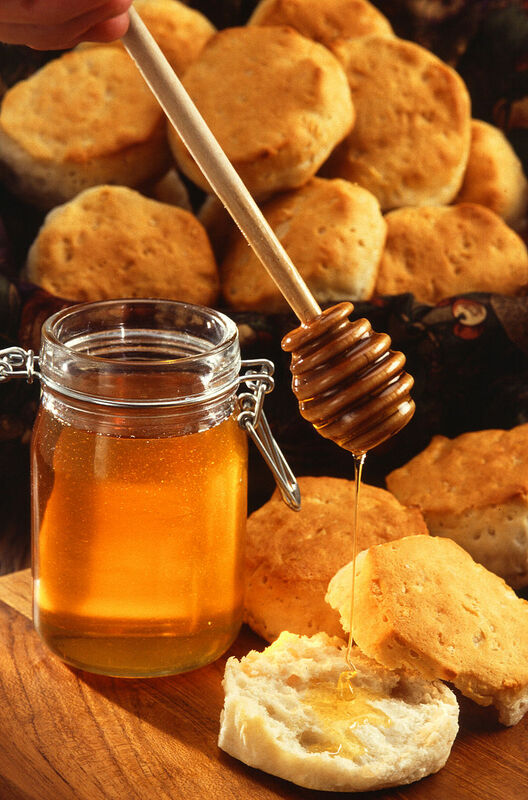 Honey also has cleansing properties for our body and health. Homemade honey and oatmeal mask is a great skin remedy that you can do once or twice a week if you want to have a healthier skin. Oatmeal effectively exfoliates dead skin, giving way to fresher and healthier cells. Honey, because of its antibacterial and antioxidant components fight acne and pimple-causing bacteria, aside from being loaded with extra-moisturizing properties; leaving the skin dewy and younger looking. You can also add drops of lemon or tea tree oil for a better result. Olive Oil is also a recommended kitchen staple recognized because of its immense beauty benefits. It is one of the healthiest vegetable oils available in the market. 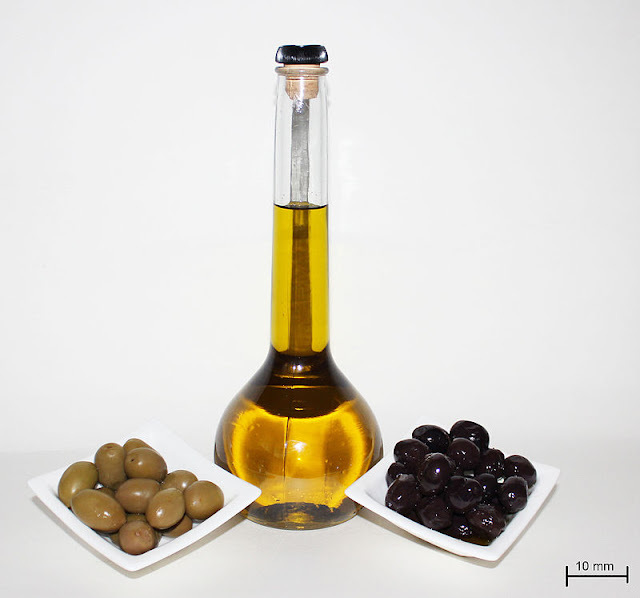 Olive oil can be applied in the hair for a lustrous and healthier result. Olive oil can also be used as a natural moisturizer because it is abundant with antioxidant components like Vitamin E, polyphenols, and phytosterols which prevent aging and wrinkles. Many recommend olive oil as an effective makeup remover apart from being effective to smoothen dry skin, especially those in the elbows, knees and even feet if you put it overnight. 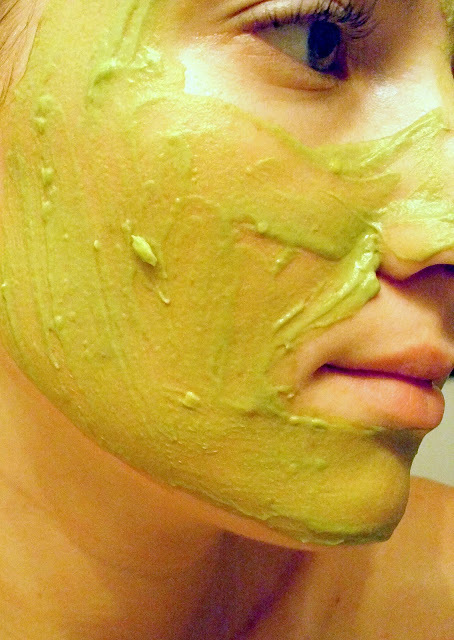 The oil is easily absorbed by the skin and it doesn’t clog the pores; thus, you can use it to replace your night cream. This natural oil can be used for exfoliation, and even nail and cuticle care. I am sure that a lot of you are aware of oatmeal masks as you have heard and read about its effectiveness. After all, this natural ingredient has been documented as far back as 2000 BC used for skincare. Oatmeal is best used as a face mask for cleansing and it is suitable for every skin type, especially those with sensitive skin. You can mix whole oatmeal with a teaspoon of honey, or you can opt with coconut oil or even lemon extract to make a paste and then apply it to your face. Make sure that you massage your skin in circular motions. The oatmeal and honey mixture is effective to relieve inflamed or dry skin, act as natural exfoliator to remove dead skin cells, unclogs pores and eliminates blackheads and whiteheads effectively as it moisturizes the skin, leaving a firm, soft and clean feel. I recommend that you do this home remedy once or twice a week for a healthier skin. Oatmeal baths are recommended to alleviate itchiness caused by skin irritation especially when one is suffering from chicken pox. Dry and itchy skin often has high pH level and oatmeal normalizes the pH level. Baking soda is sodium bicarbonate, an alkaline natural substance in a fine powder form. It has antibacterial, anti-fungal, antiseptic and anti-inflammatory properties which can be a powerful medical tool against hair, oral problems and even skin issues. Baking soda can help you get rid of you dandruff. Just apply a tablespoon onto your wet hair and scalp, leave it a minute and then rinse it off. Baking soda clarifies the scalp from the annoying flakes. It is recommended that you do this remedy every week. 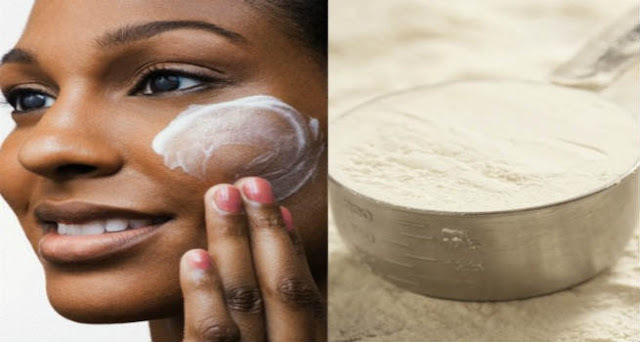 Baking soda soothes skin irritations, inflammations, rashes and even swelling. It can be used as an exfoliation agent for the face and blackheads remover too by just adding water and then to apply it to your face gently massaging it in circular motion. A tablespoon of baking soda mixed with 5 drops of hydrogen peroxide and a small amount of water to make a paste is effective to whiten teeth and to remove teeth stains. Brush the paste like the normal brushing, leave it for 5-10 minutes and rinse thoroughly, you can do this twice a week for better results. Sunflower Oil has been a staple natural product that I have been using for years now. Ever wonder why sunflower is considered a happy flower? Because of all the beauty wonders that it provides. I used sunflower oil to lighten my stretch marks and underarms which are aftermath of my pregnancy. When I had chicken pox, I used it generously to fade the scars and I really can attest to its effectiveness. 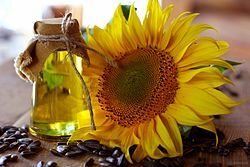 I wrote a separate article about sunflower oil and how I recommend it for those who have acne and pimple marks (see this post). I also use it for my hair for a smoother and healthier volume. Some people put the oil in their eyebrows overnight to help the hairs grow and it can be applied to your eyelashes to help thicken it. It can also be a makeup primer and remover, too. Sunflower oil is a potent source of lecithin, carotenoids, tocopherols and appreciable quantities of vitamins A, D and E which helps the skin to fight the free radicals that causes aging and the formation of wrinkles. It easily is absorbed by the skin and just like olive oil; it doesn’t clog the pores so you can also use it as a substitute for your chemical-based moisturizer. Others shared that they use sunflower oil to soften their feet overnight and to get rid of the callouses. Cucumber is a part of the Cucurbitaceae family like watermelon, squash and pumpkin which is made up of 95% water, best for cooling and hydration. 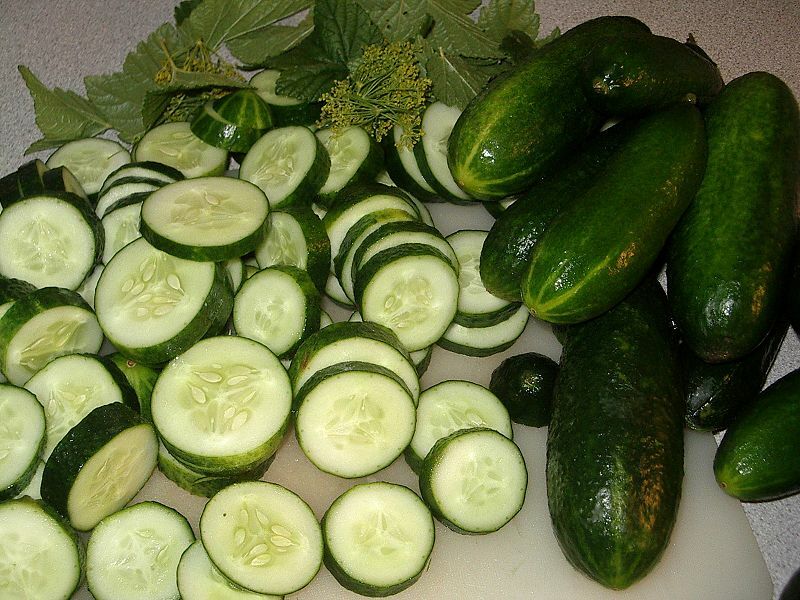 Cucumber is loaded with anti-oxidants and silica; effective to lighten dark circles especially for puffy, tired eyes. It also has ascorbic acid that helps eliminate dark spots, freckles and skin pigmentation caused by pimples and acne marks. Cucumber together with lemon extract can be used as a natural toner for a fairer, healthier, glowing skin plus they help tighten the pores and eliminate blackheads. Aside from the benefits of cucumber towards the skin, cucumber prevents acid reflux, lowers blood pressure level and helps your digestive system against indigestion and constipation. And since it is a fiber-rich food (soluble fiber) that is low in calories, it is very ideal for weight control and weight loss. Coconut oil, according to research is the only natural oil that reduces protein loss; thus, highly recommended for a healthier hair and scalp. It has been recorded for ages that coconut oil is used to treat dandruff as it has natural antibacterial and anti-fungal properties. 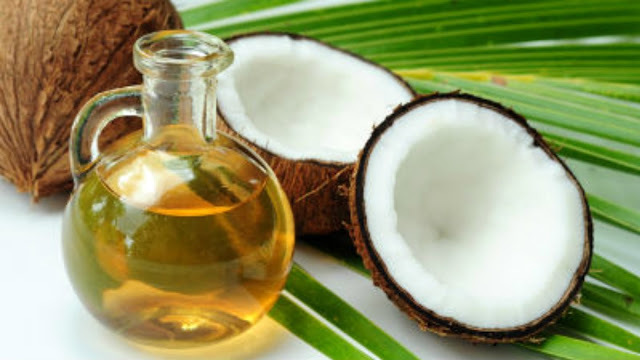 Coconut oil is also a wonderful organic remedy for hair damage and breakage. It contains lauric acid in a low molecular weight which has the ability to directly penetrate the hair shaft; thus, nourishing the hair with all the vitamins and minerals it need. Coconut oil is known to be able to penetrate the hair better than any other natural oils. Coconut oil can be used as a leave-on treatment to tame the frizz; it can also be used as an intensive conditioner once or twice a week for a longer, healthier and tangle-free mane. Aside from that, coconut oil can also be used to moisturize your elbows, knees and usual dry areas since it can also be absorbed by the skin. Papaya is a luscious fruit not only known for its health benefits but also because of the vast contributions that it provides towards beautiful skin and hair. It is packed with Vitamin A and papain (the natural enzyme derived from papaya) that is essential to keep the skin hydrated and to remove the dead skin cells. Papaya also is rich with AHA’s or Alfa-Hydroxy Acid, which is often used in over-the-counter cosmetics to combat aging. Apart from being an anti-aging remedy, it is also a natural exfoliator and it tones and firms the skin. Some can affirm that ground raw papaya can reduce pimples and blemishes. Papaya also has beta carotene, vitamin C and E that can help improve the skin's natural firmness and keep the skin hydrated. 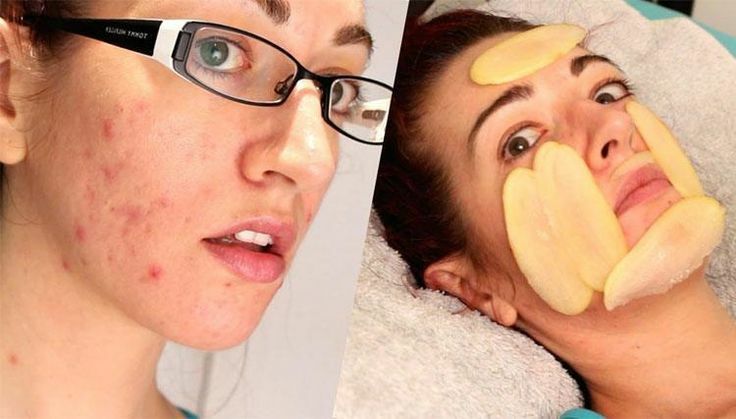 Just mash the papaya and leave it on your face for 5 to 15 minutes. You can add milk or just use it on its own. Rinse it well, giving you a radiantly and glowing skin. 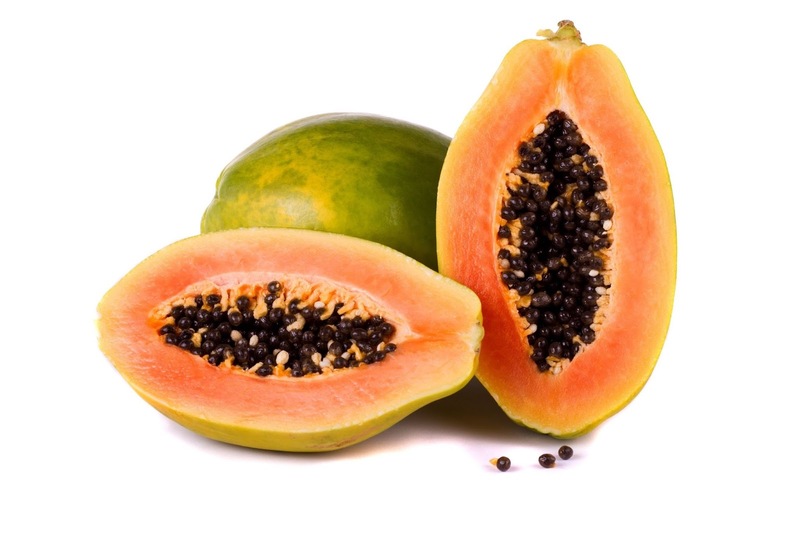 Plus, papaya is known to lighten and even out dark spots and skin discoloration. The peel of the papaya fruit can be rubbed to your legs, elbows and knees to whiten them. Who would have thought that your usual eggs in the fridge can play a great role in improving your hair and skin? Eggs, specifically the egg white has lutein, which is useful to make your skin elastic and hydrated. Protein from egg plays an important role in repairing damaged tissues and tightening the skin. Egg white can be used to tighten and firm the pores, to get rid of eye puffiness and to tone the skin. Just set aside the egg-white from the yolk, beat it until it becomes frothy and then apply it generously to your face and neck. Just be prepared with the nasty smell especially if you leave it on your skin for five to ten minutes. Make sure that you rinse it thoroughly afterwards. 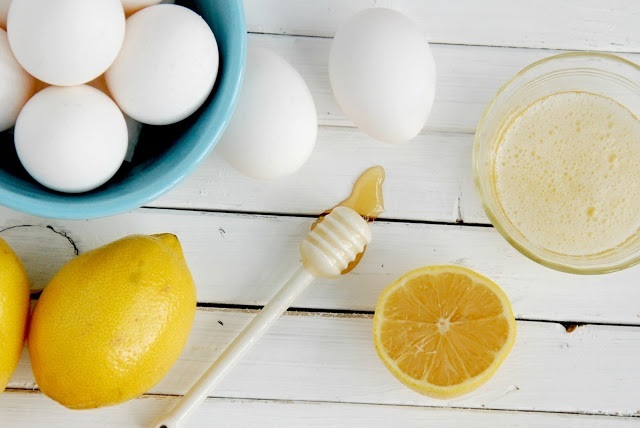 Egg-white can be mixed with lemon extract, or honey for skin rejuvenation. If you also want a healthier, shinier hair, you can try the egg-yogurt mask at home wherein you mix an egg and yogurt with drops of olive oil. You just leave the paste in your hair strands and wait for 30-45 minutes. After rinsing, you would see an instant result of a healthier, more manageable, and thoroughly conditioned hair. To add volume and sheen, some would combine an egg with lemon juice. Just put them in your hair and leave it for half an hour. After which you shampoo and rinse them thoroughly and the result is a softer, voluminous and sheen tresses. Aloe Vera was recorded in history being used by Egyptians because of its ample medicinal benefits; thus, tagging it as the “plant of immortality.” Aloe Vera when peeled and mashed produces gelatinous texture. The extract contains two known hormones: Auxin and Gibberellins which are anti-inflammatory components responsible to soothe and heal wounds, cuts and even sunburn. The anti-inflammatory property together with the anti-oxidant components can treat pimples, prevents signs of aging, reduces stretch marks and can heal some other serious skin problems like psoriasis, acne and eczema. Just put the mashed Aloe Vera extract to the targeted area and leave it for 10-15 minutes to do the wonders. The mashed gelatinous substance from Aloe Vera is a moisturizer which is amazing even to oily-type of skin because it doesn’t leave a greasy feel. It works incredibly being a natural moisturizer to cuts from shaving. Milk is a rich source of calcium, fortified with other vitamins and minerals such as vitamin C, D, K, strontium and magnesium for a stronger and healthier bones and teeth. Apart from the nutritional benefits that can be derived from milk, it also offers nutrients to make our skin fresh and younger looking and your hair more manageable and healthier looking. Raw milk has been a natural skincare regimen dated for thousands of years now. Cleopatra, the queen of Egypt has been recorded as one of the famous people in history that used raw milk to maintain a smoother, younger, glowing skin. You can do the milk bath by putting 1-3 gallons of raw milk in a bath tub and add it with water. You can soak and rest in the bath for 15-30 minutes and then rinse well to remove the milk residue. You would see that the result is pretty amazing as your skin looks radiantly glowing. Milk hydrates the skin as it locks moisture. It is also a great cleanser and a toner. You can dab a cotton ball with milk and gently apply it to your face in circular motion. Leave it for 5-10 minutes then rinse it with lukewarm water. It not only cleanses the skin but also tightens the pores. Milk mixed with papaya has an incredible result with your skin. You can also add milk and oatmeal to make a paste and apply the mask in your face for a supple, exfoliated and smoother skin. For limp, dry or lifeless hair, you can do your own hair mask and homemade conditioner by adding 3 tablespoon of raw milk, mayonnaise or you can also use yogurt then add drops of baby oil. Leave it on for half an hour to 40 minutes (you can use a shower cap) and then rinse it with warm water and your hair will be so smooth and silky. When I hear of potatoes I automatically think about French fries, potato chips and mashed potatoes which are my favorites by the way. Potato is a highly nutritious food source that is staple worldwide. Little did we know that aside from being a source of carbohydrates and vitamin C, potatoes can be a natural eye brightener as it lightens the dark circles around the eyes and soothe the puffiness. Just peel and slice a large piece and then put it in your eyes, or directly to the dark circles. You can stick them within 15-20 minutes and then wash them with warm water. Regularly doing this will eliminate your dark circles. You can also put the peeled potatoes in a blender and put the juice to your blemishes and dark spots in your face and other body parts that have skin discoloration or scars. Potatoes have ascorbic acid and skin lightening agents that brightens and fades out dark spots caused by pimple and acne marks. It also produces natural moisturizer to combat dry skin. Put grated potatoes in your face for 10 minutes and then thoroughly wash it. You would feel that your skin is rejuvenated after doing so. Avocado is also known as the fruit butter of the skin. Apart from the essential nutrients that it provides when you eat avocado, it is also rich in natural ingredients widely used in skin and hair products because of the wide array of benefits that it gives. It is fully-loaded with vitamins, minerals and anti-oxidants, that’s why it is a trusted organic fruit when it comes to having a gorgeous hair and skin. Aside from eating the flesh of the avocado which is also great as a part of healthy diet, you can mash it to produce a paste that can be used as a mask to detoxify all the impurities of the skin especially dead cells, leaving you a suppler and smoother skin afterwards. It also is an effective remedy to reduce signs of aging and formation of wrinkles. You can also add honey or drops of lemon for a better result. The mashed flesh of it can also be used as a hair mask. Have at least 1-2 pieces of avocado, add it with yogurt, coconut oil or olive oil and then leave it for 20-30 minutes, wash it well for a great result. Avocado has amino acids and proteins that will penetrate your scalp and are effective to heal, nourish and improve the overall condition of your scalp and hair. It is not only a good source of essential nutrients for the a healthy diet, it also contains anti-oxidants and phytochemicals that nourishes and revitalize dry skin. 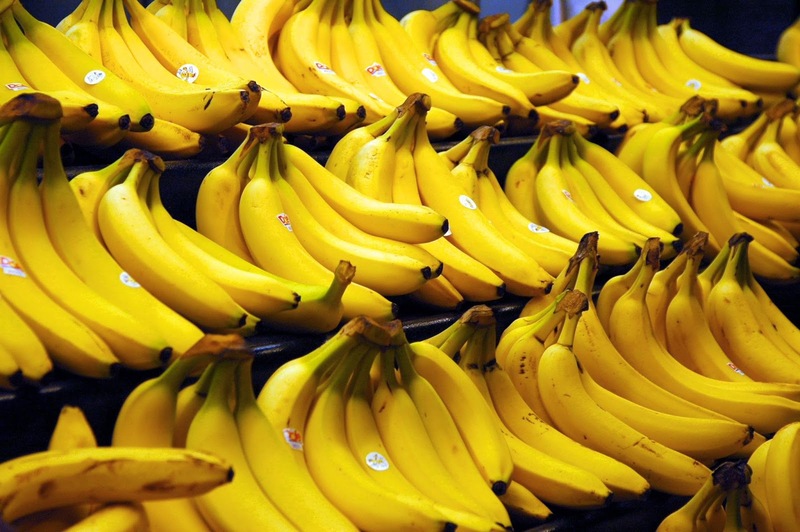 Bananas are great to control oiliness and breakouts especially for acne-prone oily skin. You might not know but banana has lightening components that helps brighten dark spots and blemishes. I recommend that you add banana as a part of your weekly beauty ritual at home. You can mash and add it with oats and honey. Place it on your face and gently massage the past in circular motion. After 15-20 minutes, you can remove and wash the residue. The mask purifies the face against dirt and makes your skin squeaky clean and smoother. So these are the highly recommended organic produce that you can use at home for remedies to skin problems like dark spots, uneven skin tone, blemishes, wrinkles, fine lines, oiliness, acne and pimples and even serious skin issues like eczema and psoriasis. They are also effective to add life to your dull, limp or lifeless hair, for a healthier scalp, to eliminate dandruff and even hair loss. You can combine and make your own homemade masks by trying different combinations each week and take note of the results. These skin regimens definitely deliver a fairer, more glowing, smoother, and radiantly younger-looking skin. Skincare is a daily essential routine to fight free radicals and to prevent pre-mature aging and you can do that naturally. You don’t really need to invest a lot of money just to maintain a healthy and glowing skin . And the fun part is, they not only nourish us within our body but these nature wonders are amazing for the outer skin and are even better than their chemical-induced counterparts. Plus they are super affordable and are readily available in the market. Just make sure though that before you apply the homemade masks or even the organic produce that I mentioned above, try to test it at the back of your hand for possible allergic reaction as some of them may contain allergens even if they are natural. I hope that this helped and inspire you to go organic or natural when it comes to taking care of your skin. After all, God created nature on its abundance without any purpose. So maximize the gift and pamper yourself with these natural products for a healthier, more radiantly looking and beautiful you!